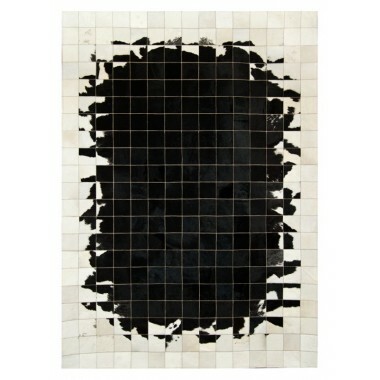 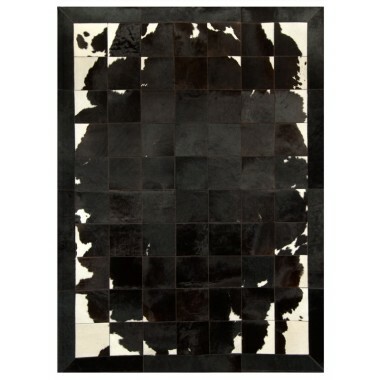 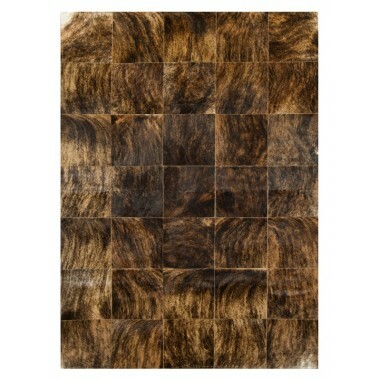 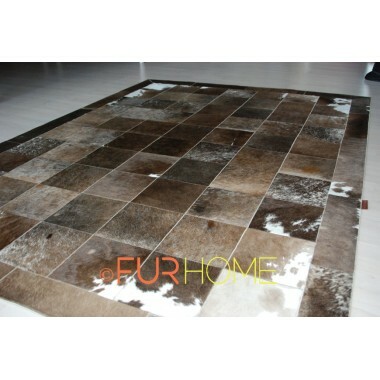 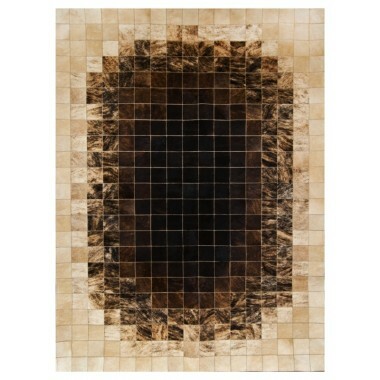 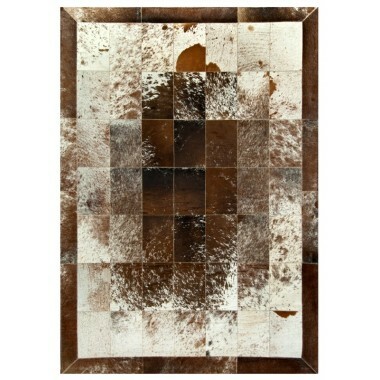 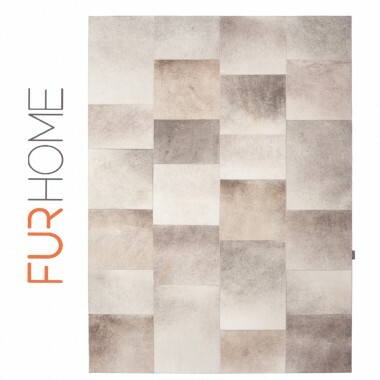 K-148 is a luxurious cowhide rug. 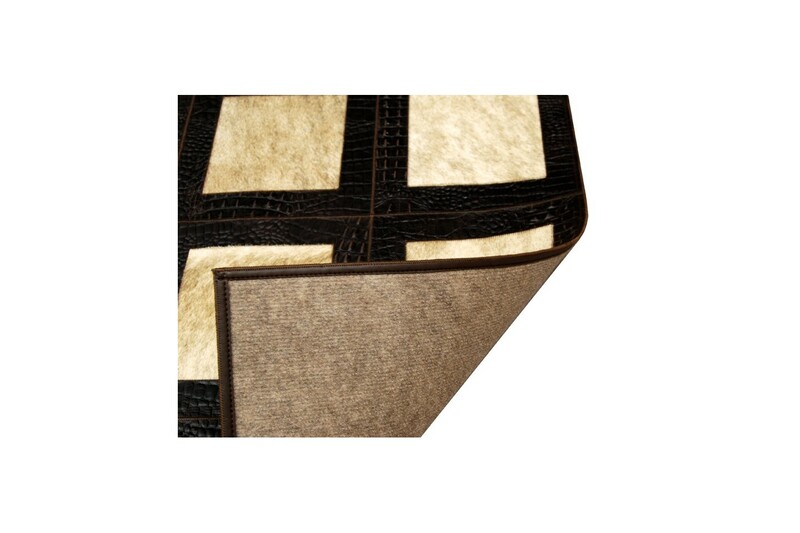 Testa Di Moro brown croco leather elegantly surrounds beige horsy boxes. 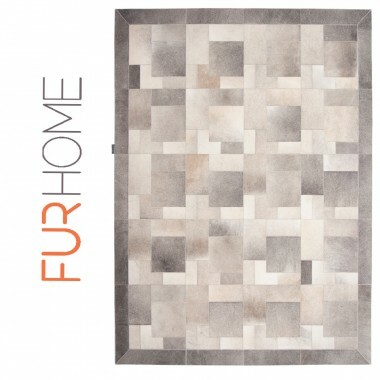 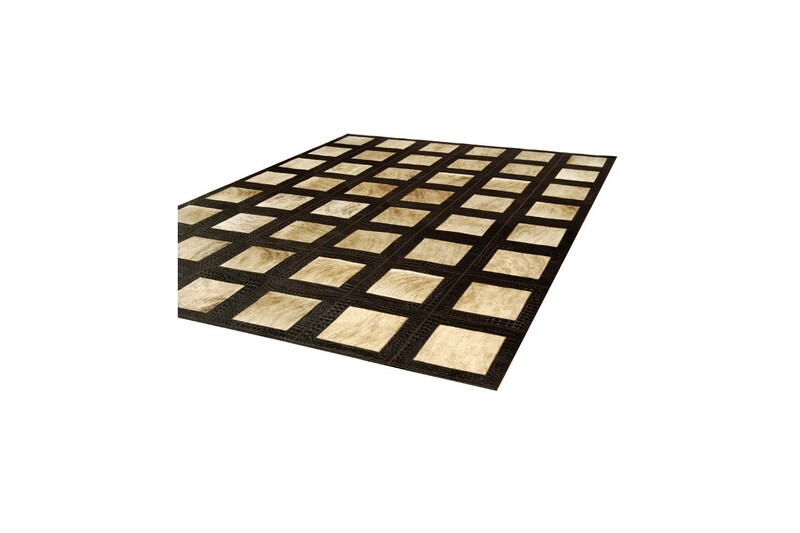 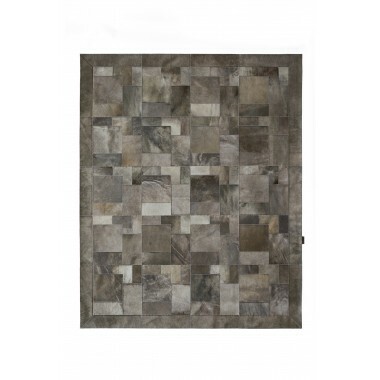 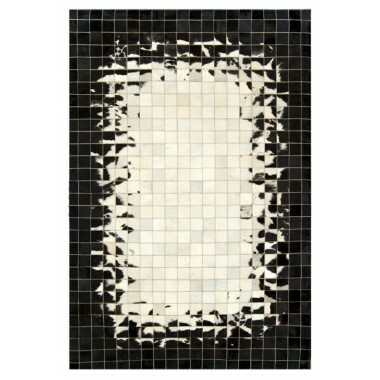 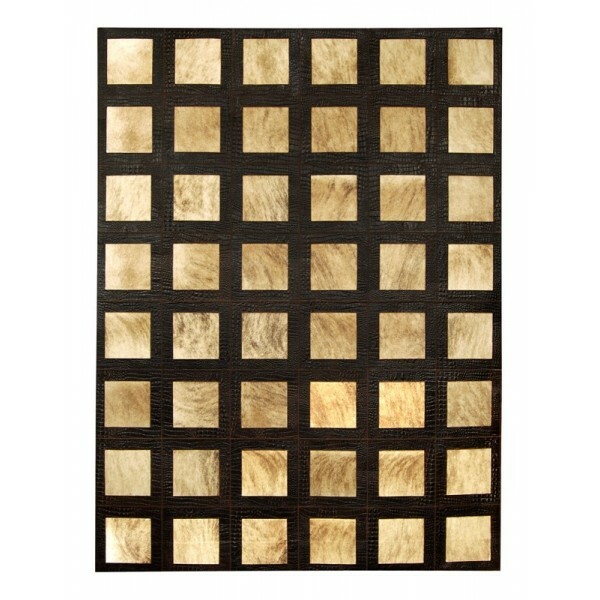 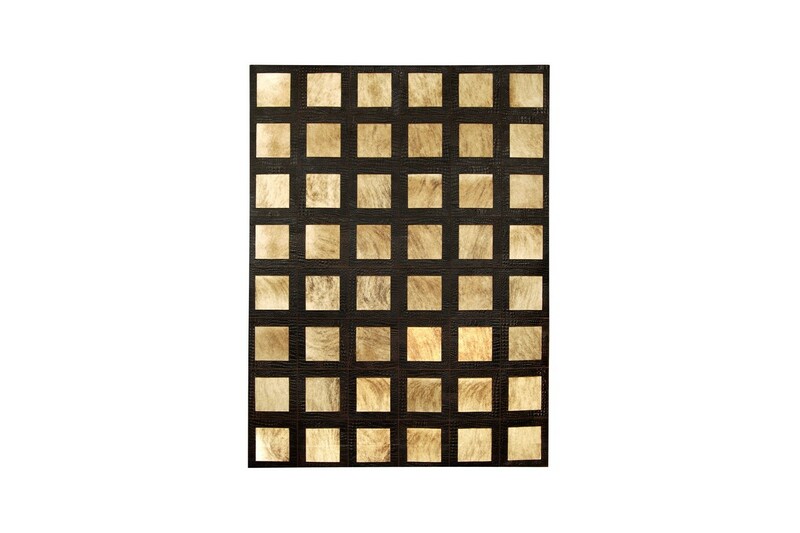 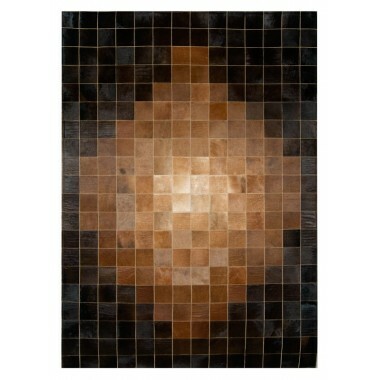 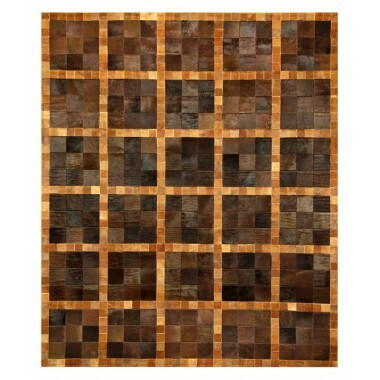 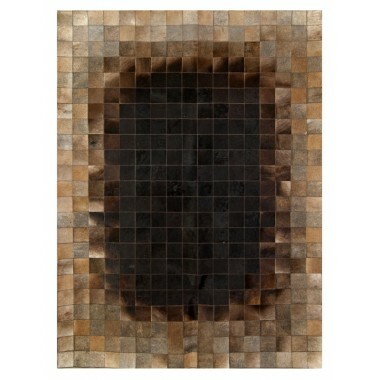 The traditional feel of a classic board game pattern is showcased on this intriguing area rug. 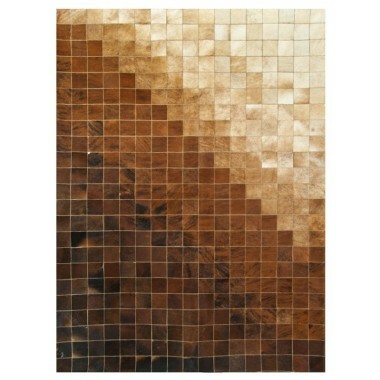 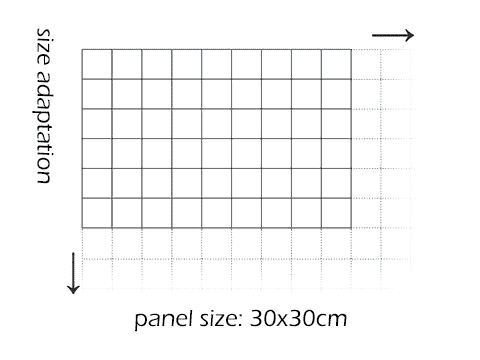 Light brown 30 x 30 ins 20 squares surrounded by a nice dark brown box. 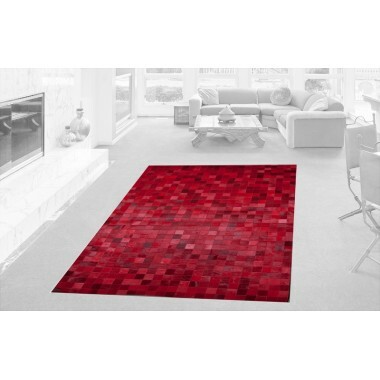 This rug will brighten up any room. 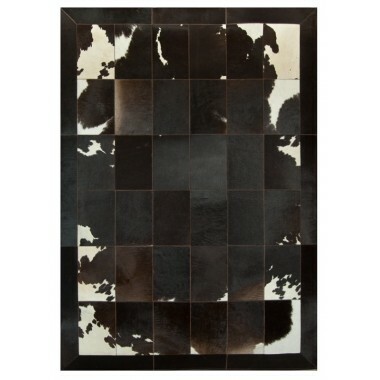 Lighter colors surrounded by the darker lines make this a stand out piece of art. 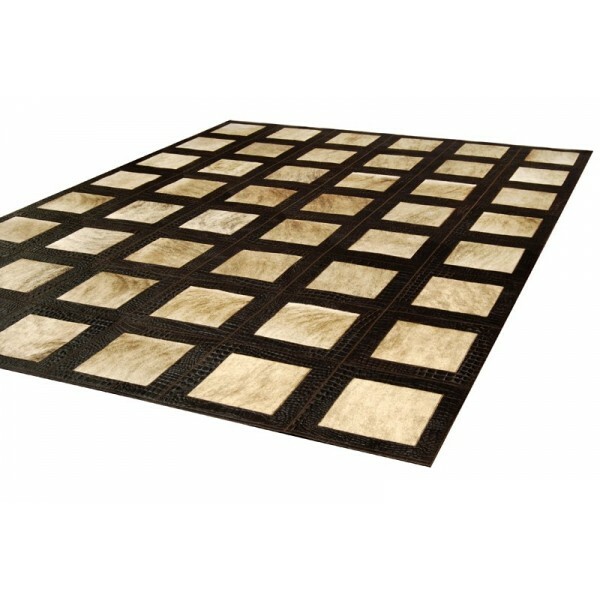 This beautiful handmade rug will complement any style of furniture. 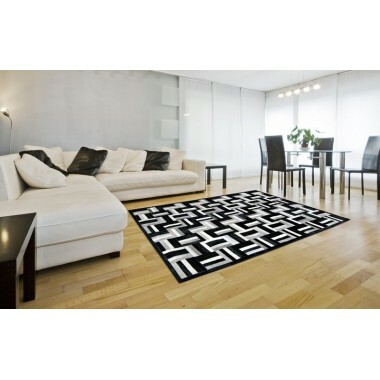 This is a modern twist to a classic design. 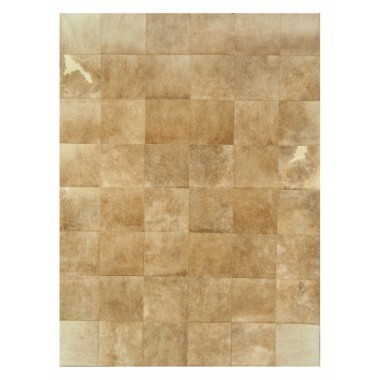 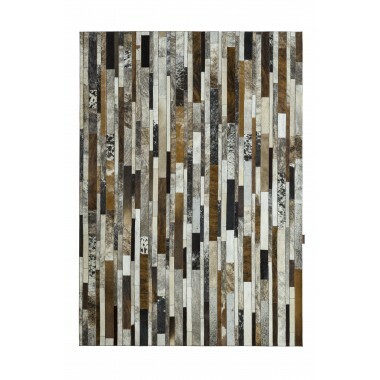 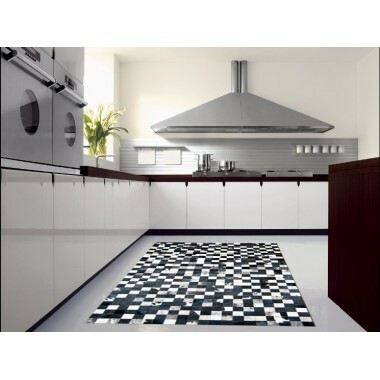 This is an area rug that is a durable, well-built piece of craftsmanship and is also strong and dependable as well. 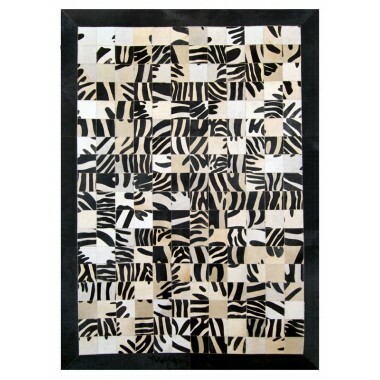 Made by hand and sewn together by special sewing machines. 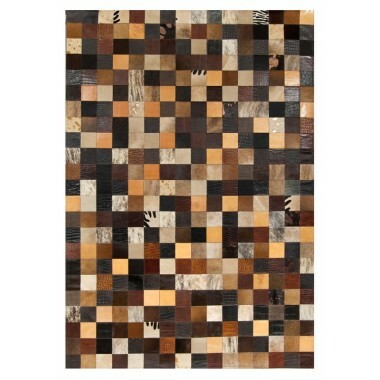 Because it hides handmade from only the best parts of the cow there are no two rugs alike. 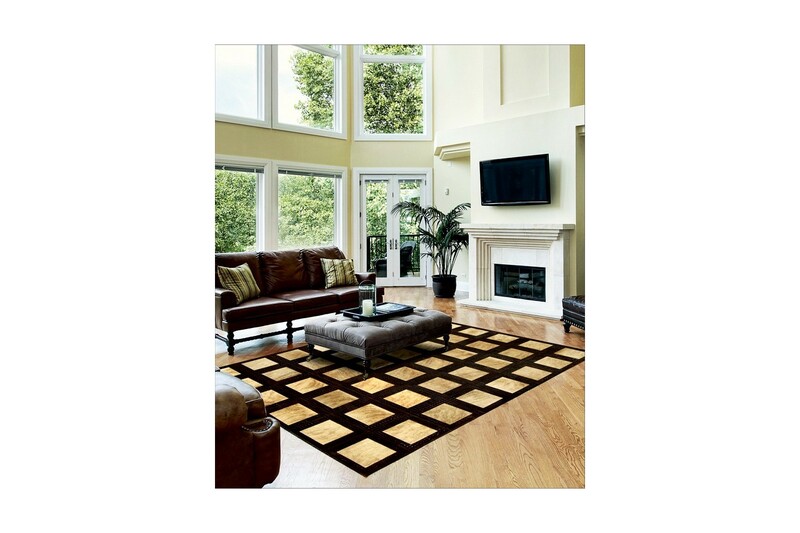 Each rug is built for and customized to fit the room of your choosing. 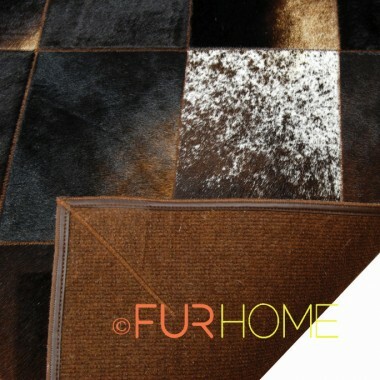 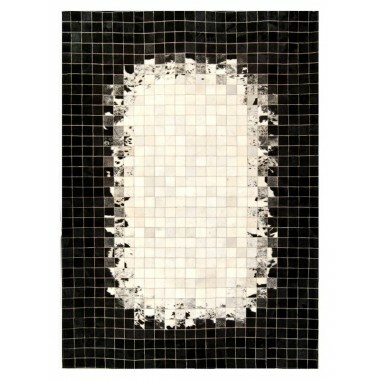 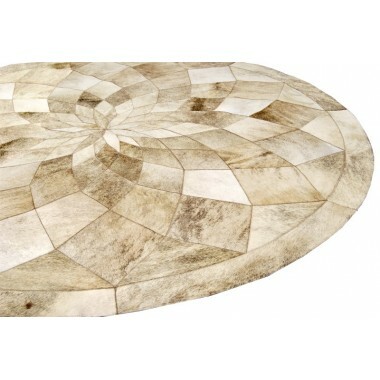 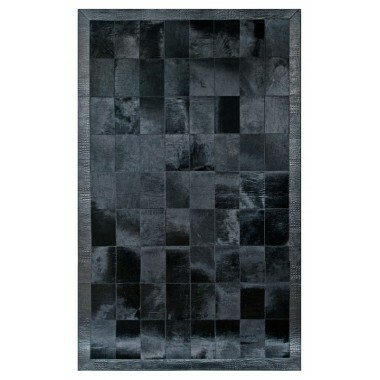 This rug features fabulous colors and textures that are well done to enhance the simplicity of the entire design. 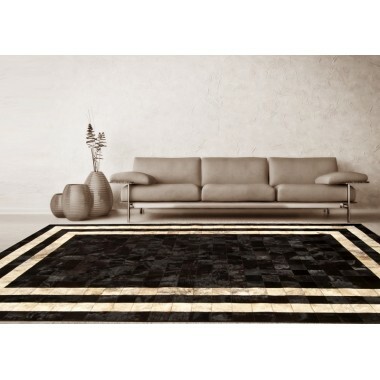 They are a unique combination of value and style.